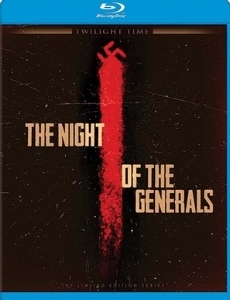 Region: FREE (as verified by the Oppo Blu-ray player) Limited to 3,000 Copies! 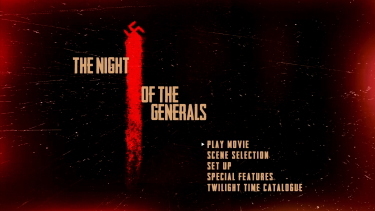 Description: Anatole Litvak directs and Sam Spiegel produces The Night of the Generals (1967), an unusual World War II crime thriller about a Nazi investigation into the murder of a prostitute. 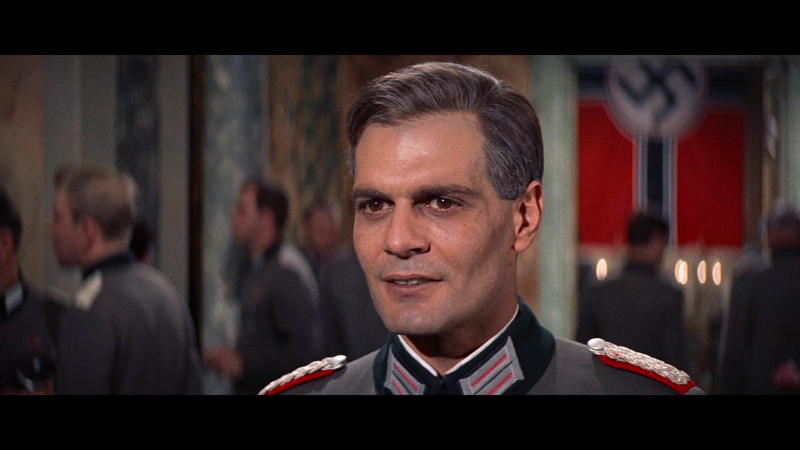 Major Grau (Omar Sharif) finds himself focusing on three suspects: the Generals Tanz (Peter O’Toole), Kahlenberg (Donald Pleasence) and Seydlitz-Gabler (Charles Gray) – all three of whom, it seems, are also involved in a plot to kill Hitler. 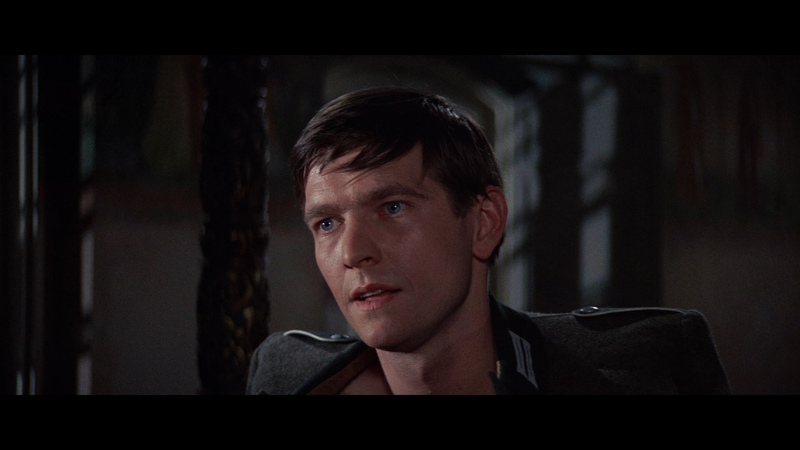 Also starring Tom Courtenay, Joanna Pettet and Philippe Noiret, shot by the great Henri Deca� and featuring a score by Maurice Jarre, available on this Twilight Time release as an isolated track. Obviously the aim of this pictures, like the novel by Hans Helmut Kirst from which Joseph Kessel and Paul Dehn have derived their script, is to point up the shadow of difference between murder as an individual act and mass killing as a relentless and accepted practice in war. It is to provide some commentary on the nature of the Nazis' wartime crimes, and reflect, perhaps, on the justice meted out of their leaders for their deeds. 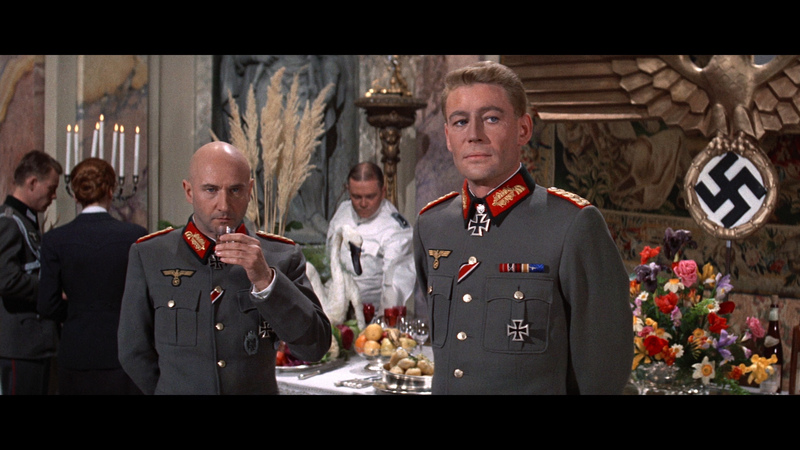 Based on a best-selling novel by Hans Hellmut Kirst along with some plot elements taken from James Hadley Chase's book The Wary Transgressor, The Night of the Generals would boast a major international cast, reuniting Peter O'Toole and Omar Sharif from Lawrence of Arabia in the key roles, plus Tom Courtenay, Christopher Plummer, Donald Pleasence, Joanna Pettet, Philippe Noiret and French chanteuse Juliette Greco in a brief cafe scene. The story is set in Warsaw in 1942 and opens with the brutal murder of a prostitute who was also a secret German agent. 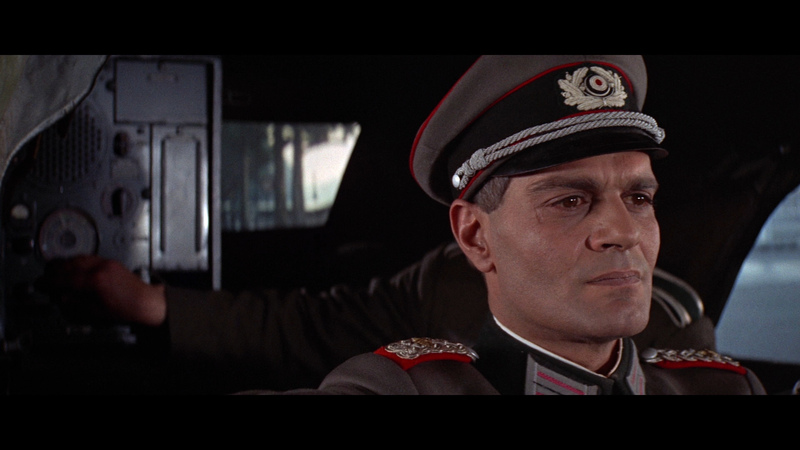 Heading the investigation, Major Grau (Sharif) of German Intelligence focuses on three prime suspects - General Kahlenberg (Pleasence), General von Seidlitz-Gabler (Charles Gray) and General Tanz (O'Toole). 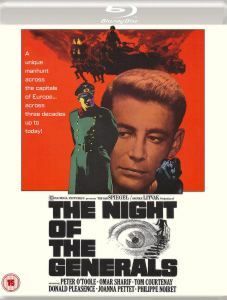 Unfortunately, Grau's persistence on capturing the killer of what seems an insignificant murder victim eventually frustrates the High Command and he is transferred. 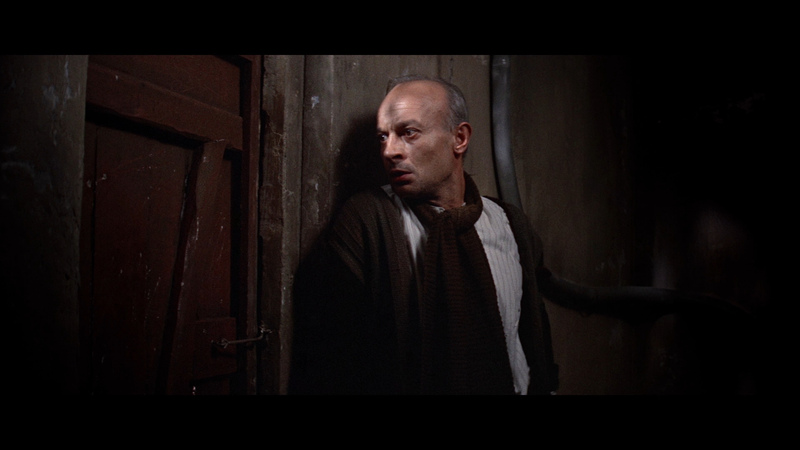 Two years later, Grau is in Paris when another prostitute is murdered and strangely enough, all three of the original suspects are also in the city. Which one is the killer? But more importantly, are these murders related to a bigger conspiracy such as a plot to assassinate Hitler? The novel which critiques the morality and behavior of the Nazi elite in the guise of a psychological whodunit had a personal connection for Spiegel. 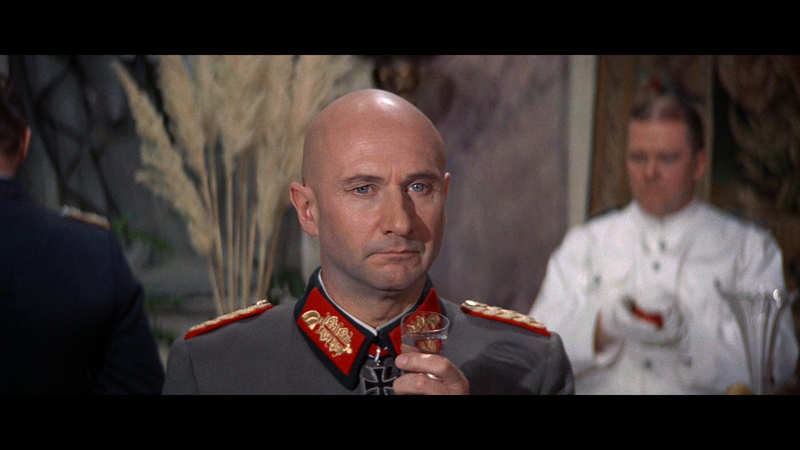 He had fled Berlin in 1933 when Hitler came to power and General Tanz represented the mentality that had forced Spiegel to emigrate to the U.S. 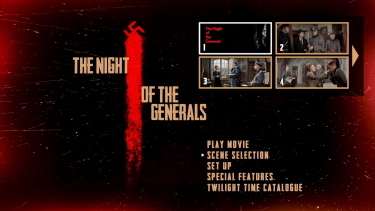 The Night of the Generals comes to Twilight Time Blu-ray looking a bit thick an heavy but colors are rich and contrast layered. 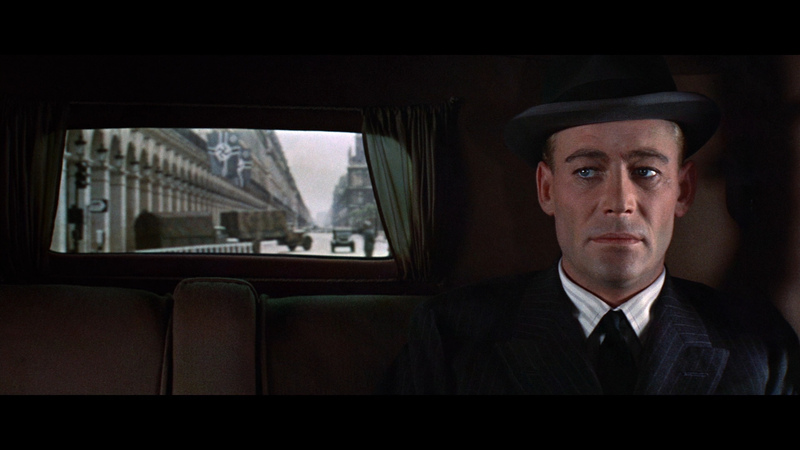 I thought the film looked excellent in-motion. 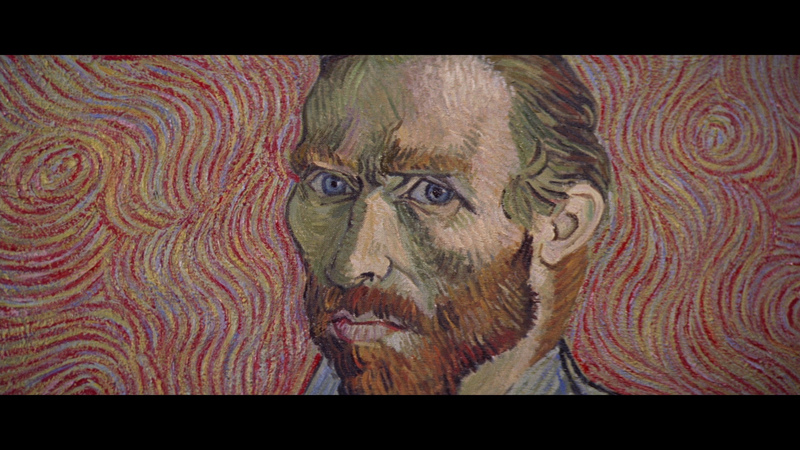 It is dual-layered with a very high bitrate for the 2 1/2 hour feature. 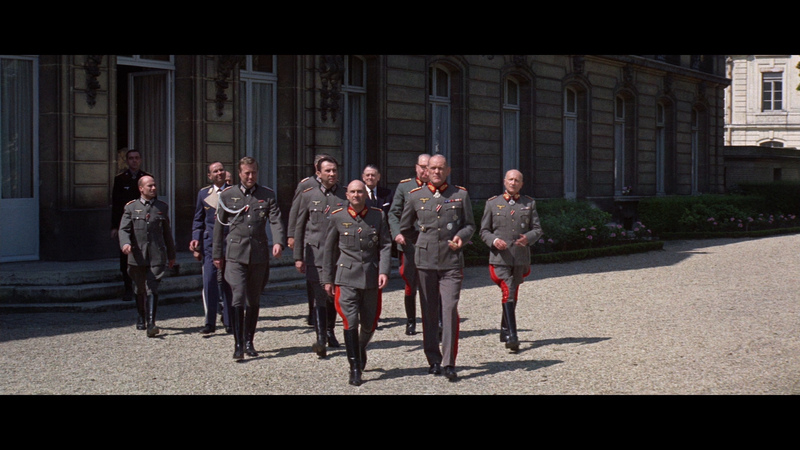 There is frequent depth and the 1080P resolution brings out the impressive art direction and costuming. Textures can be a bit blocky but are consistent, along with the widescreen, augmenting the presentation character. No damage and only minor speckles are visible. I noticed no compression-style artifacts and this Blu-ray gave me an enjoyable 1080P presentation. The DTS-HD mono track at 838 kbps sounds clean with a few more impressive moments in pushing the film's minor depth through. 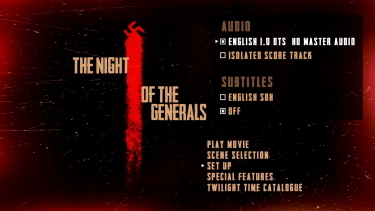 There is not as much in the way of aggressive audio as you might expect for this war film. 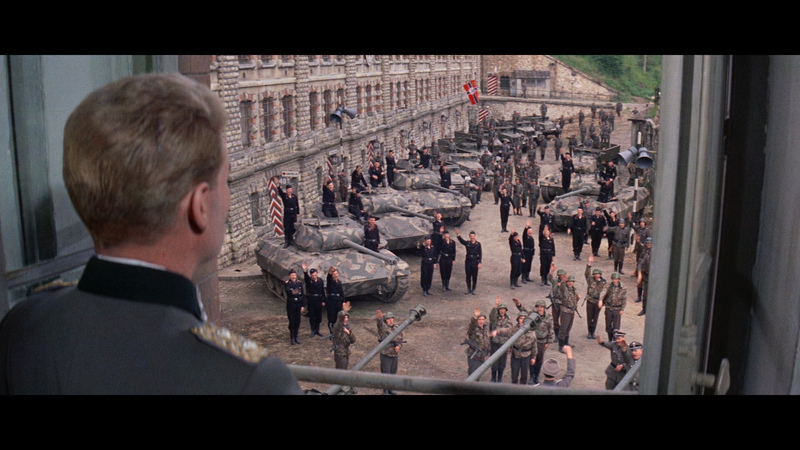 Although the original music by Maurice Jarre (The Tin Drum, The Man Who Would Be King, The Damned) via the lossless renderings adds a nice layer onto the film's war atmosphere and historic qualities. Twilight Time offer an isolated track of that score in a robust lossless track. There are optional English subtitles (sample above) and my Oppo has identified it as being a region FREE. 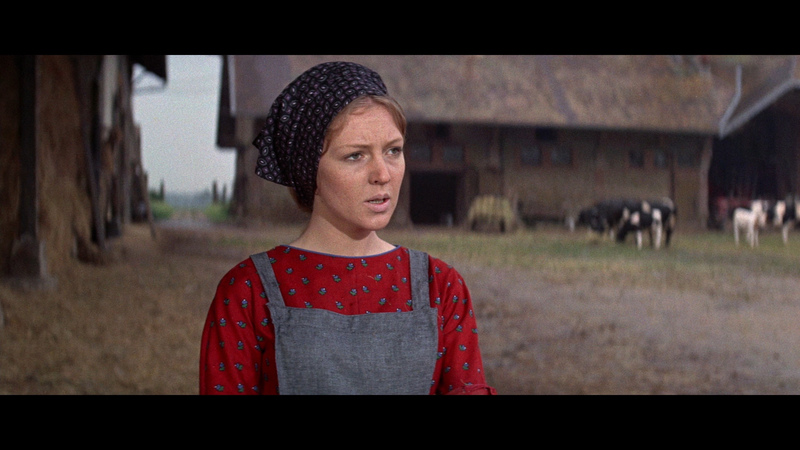 Only a theatrical trailer and 'teaser' plus the aforementioned Isolated Score. The package has liner notes with an essay by Julie Kirgo. 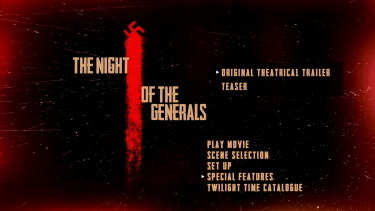 The Night of the Generals is a fascinating story and gripping film. 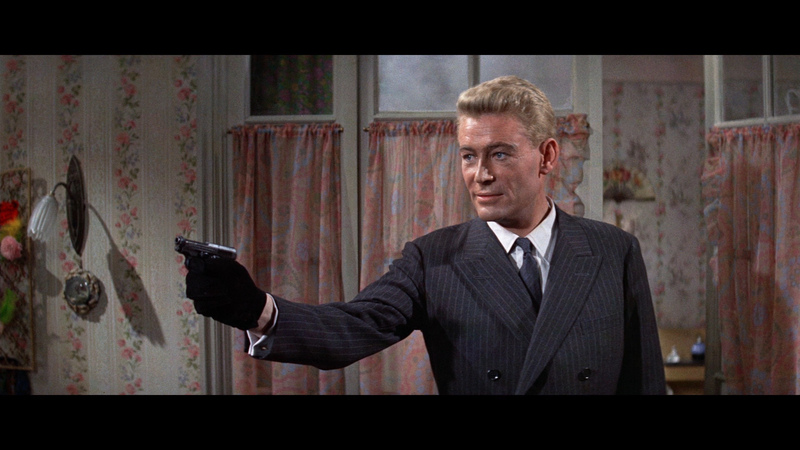 O'Toole is amazing. 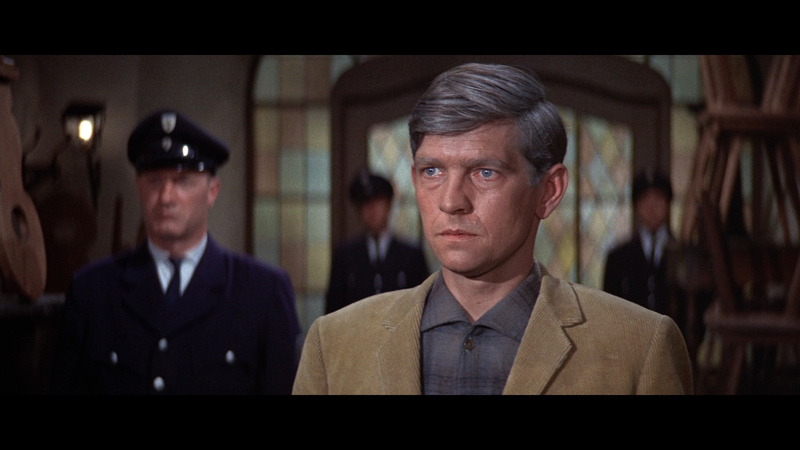 I was so impressed with the realization of the narrative - Anatole Litvak (Decision Before Dawn) is a brilliant director. 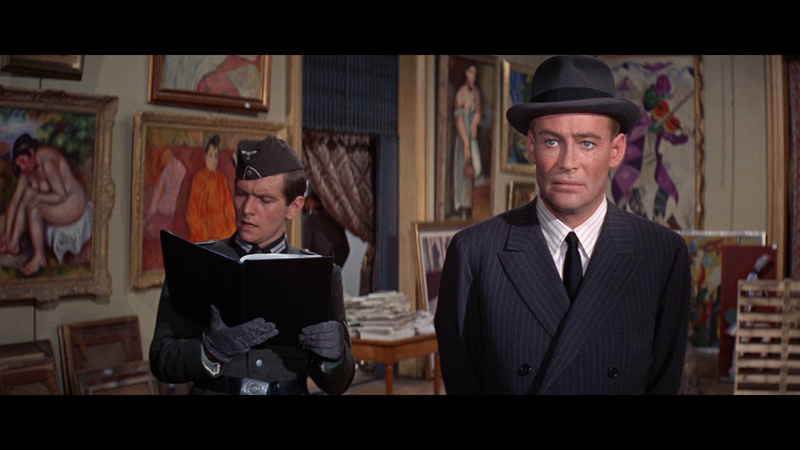 The Twilight Time Blu-ray provides a rewarding presentation - very worthy of re-visitation. This is yet another tremendous film I have had the pleasure to view recently. Our highest recommendation!